IGG Irene Mulyagonja has come under fire for failing to handle corruption cases. KAMPALA- The job of the Inspector General of Government, Irene Mulyagonja is on the swing after President Museveni Wednesday afternoon questioned her performance and in effect established a unit in State House to monitor government agencies, departments and agencies. The new anti-corruption unit, according to Mr Museveni, will undertake the roles of the IGG, headed by the former Uganda national Teachers’ Union (UNATU) chairman, Mr James Tweheyo and assisted by Martha Asiimwe and a one Sister Akior. While delivering the State of the Nation Address to Parliament on Wednesday, the President said that the Inspectorate of Government has failed to deliver as expected. “What happened to the IGG? Why don’t the victims of corruption report those incidents to the office of the IGG? That was the purpose of that office; to protect the public from corrupt officials; to protect the investors against corrupt officials. The IGG should reflect on this. Are her staff credible? Why does the public not trust that institution? We need answers,” Mr Museveni said. He said selfishness and greed is one of the major factors that stifle economic development especially if not checked. “I cannot fail to talk about mercenarism of the public officials and corruption of some of them. The mercenarism interferes with the patriotic attitude of the freedom fighters. People expect money for every little task. We could not have liberated this country if we did not have a high degree of altruism. This attitude of altruism must come back,” Mr Museveni said, noting that corrupt officials are protected by the public who fail to report, the “criminals”. “Otherwise, there is no criminal, we cannot handle,” he said. 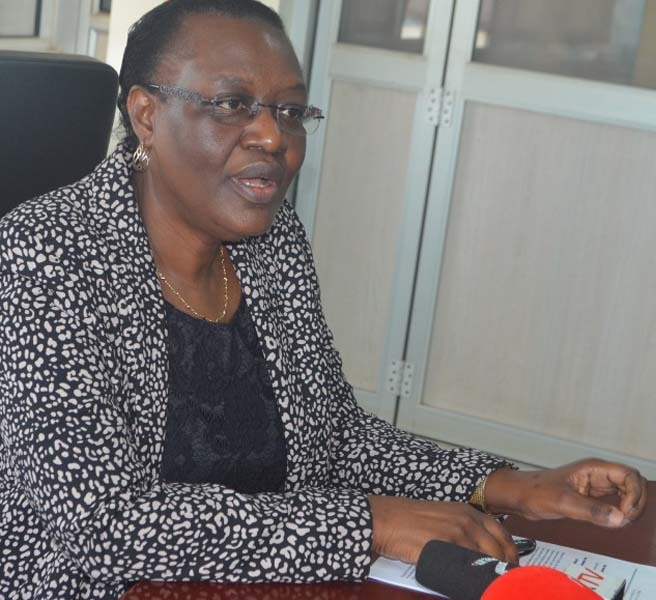 Ms Mulyangonja is caught up in an investigation spat involving the Bank of Uganda, particularly against Governor Mr Emmanuel Tukusiime Mutebile and deposed former Executive Director for supervision Justine Bagyenda.